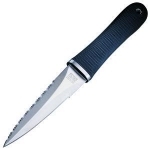 Gerber has the potential to make great USA made knives and a reasonable price. This is proven with the Strongarm. 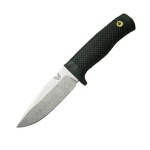 Great price at $50-$60, and lots of options in both colors and serrated or PLAIN EDGED models. 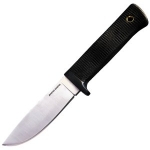 I own all kinds of knives from the ESEE6, TOPS BOB, SOG Seal PUP, Ka-Bar BK2, and Mora Bushcraft Black. I love this Strongarm and would recommend it to anyone.